Benefits: It helps combat hurdles in life and emerge victorious in the most difficult situations. 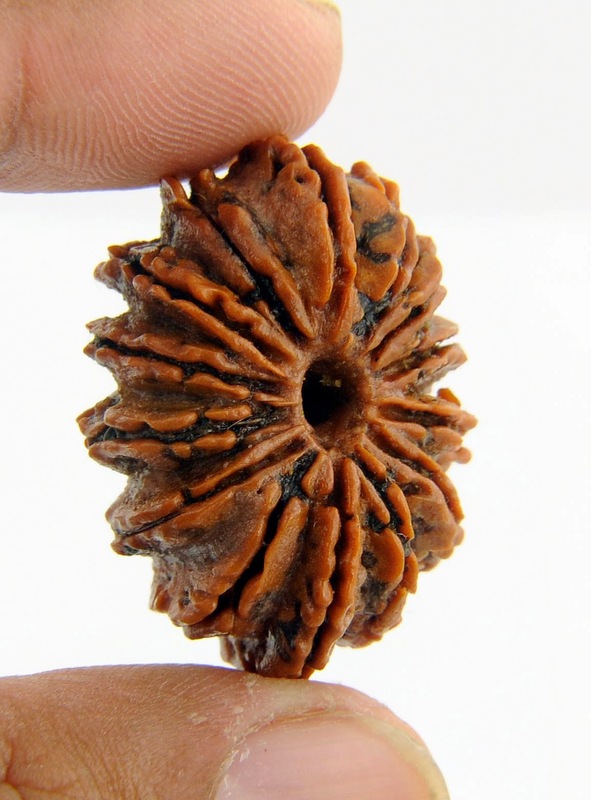 This rudraksha is rules by Saturn and hence helps in overcoming the malefic effects of Saturn. This is the most powerful rudraksha to get protection from any kind of evil or negative energy like evil eye, black magic, evil spirits etc. Who Should Use it: People who wish to attain power and authority in life. Couple who are childless. People who have Saturn related diseases like osteoporosis, join pain, acidity and gastric problems etc. People who want to develop their sixth sense. People in professions like politics, film, modeling, administration etc. Those are affected by black magic or want protection against it. I don't have this rudraksha with me at the moment. I am going to launch my online store by Diwali and then you can get anything from me. Guruji, my husband was admitted in the hospital on last Thursday & got discharged on 15th this Thursday. After reaching home his state has become critical. He sleeps in the position in which he is made to sleep. He is in the sleepy mood. I m in tension. Please guide me with the instant mantra so that he responses on everything. Please very urgent. Mahamrityunjay mantra is the best in this situation. Take a lime and pierce an all pin across it and keep at pooja place. Place it cross roads once it is dried. 1. Which stones to wear my d.o.b 19 jAn 1986, 11:05p.m, place raurkela , odisha india. 2. Which is the best muhurta to wear gemstone gomed pearl and red coral. i desperately need ur advise. You should wear only panna on 1st Jun one hour within sunrise. Wat is the price of 14 and 8 mukhi rudhraksh.